Do you mean 2-3 times a week, rather than 2-3 a day? Clearly weight training + cardio + diet management is a good formula - can't just focus on crunches! [quote="jpwynn"]Do you mean 2-3 times a week, rather than 2-3 a day? I totally agree you can not out train a bad diet so you need the training and nutrition. I do believe in your advise A.MAC especially if you are really determine to have that flat abdomen then you can really do it. If you're bored of sit-ups, try this exercise instead. Lie on the floor with arms straight up, pointing at the ceiling. Slowly curl yourself up and forward so that your hands are pointing towards your toes - and if you can, touch your toes. Then return to your starting position but do it slowly to stretch the muscles. Repeat 15-20 times. Which exercises I have to follow to flat belly? These two ways are not only for the flat belly these two ways are also necessary to live a healthy life. Thanks for discussing this topic with us. and very useful and effective to everyone in order to manitain fit and fine body. Hi, for a flat belly you can prefer breathing exercises and avoid sleeping immediately after eating better give a gap of minimum 3 hours after dinner. I thing these both two ways are the better and perfect solution of belly fat. 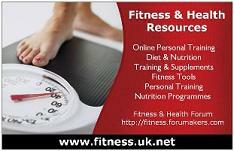 Diet control calories and exercise convert body fat into strong and flexible muscles. In diet add less fat, low cholesterol and minimum protein foods like juice, fruits, salad, rice, vegetables, nuts etc. You can all add beef, meat, fish, chicken but eat only 2 times in a week. Do regular work out for 30 to 40 mints also some cardio activities. The two basic tools for the flat and slim belly are regular exercise and strict diet plan. Regular exercises specially cardio exercises are necessary along with fat burning diet to burn the fat effectively without any side effects. These are more beneficial way for the belly fat burning which are mostly recommended by the experts. do proper walk after eating food. follow proper diet plan and avoid over eating. Well Belly fat is one of the common problem of most people, in this era. running once per week is not going to do, it you need to run 6-7 times a week to really burn the type of calories you need to burn fat at the type of rate, you are looking at. Thanks you so much for providing such useful information. According to most effective ways to lose wight are by controlling you diet and by making a proper exercise plan. Avoid oily food that will surely work. work on your abdominal muscles three times in the week. minimize water retention, lower your sodium intake. The more effective ways to get a flat belly are to do some regular cardio exercise and to go on raw veggies diet plan. Do cardio exercises daily for at least 30 minutes and take raw vegetables salad, citrus fruits juices, green tea, and fish oil etc. in your diet to burn your thick belly fat. The best idea for you to do exercise that you can do at home or gym that is chinups, pushups and squats. If you really wants to be lose your weight then you should take care of your health and fitness on the daily basis. Thank you for providing information about healthy diet . Its really informative and generous post about flat belly. There are so many exercise that can really help you revitalize your body body above all moutain biking and eating healthy food and natural energy supplements for weight loss. Great tips and currently I am doing them to reduce my body fat, actually I could see a good result. Now it is being 2 months and has reduces 17 lbs. Thanks for sharing information regarding healthy diet . Its really very informative. Eating out could be dangerous to your weight loss efforts. Restaurant foods and fast foods are generally jam-packed with extra salt, sugar, carbs and fats.